The Windows Small Business Server is a great all round package offering file sharing, email and centralised management of a networks up to 75 users. The Small Business Server is now discontinued, however many businesses still operate with one. ITswitch installed many Small Business Servers over its product life time, starting from SBS 2003 through to SBS 2007 and then to its final iteration being Small Business Server 2011. We continue to support SBS servers, and also offer upgrade paths to Windows Server 2012 and Office 365. There is no doubt that every modern business uses computers. Offices these days are filled with laptops, tablets and other data devices. And there will come a point where your IT infrastructure seems disorganized. If this is something that you are experiencing, it is time for you to buy a “Server”. One device that can provide information to all of your other devices from a central source, ensuring that all your employees are working efficiently and your information is organised. 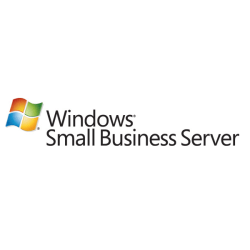 The Microsoft Small Business Server (SBS) is an all in one e-mail, file sharing and remote access server designed for small businesses. Access your emails and data from your laptop, iPhone, iPad or other smart mobile devices from anywhere in the world.